I wanted to share my Laugh All Day Gift Tag. 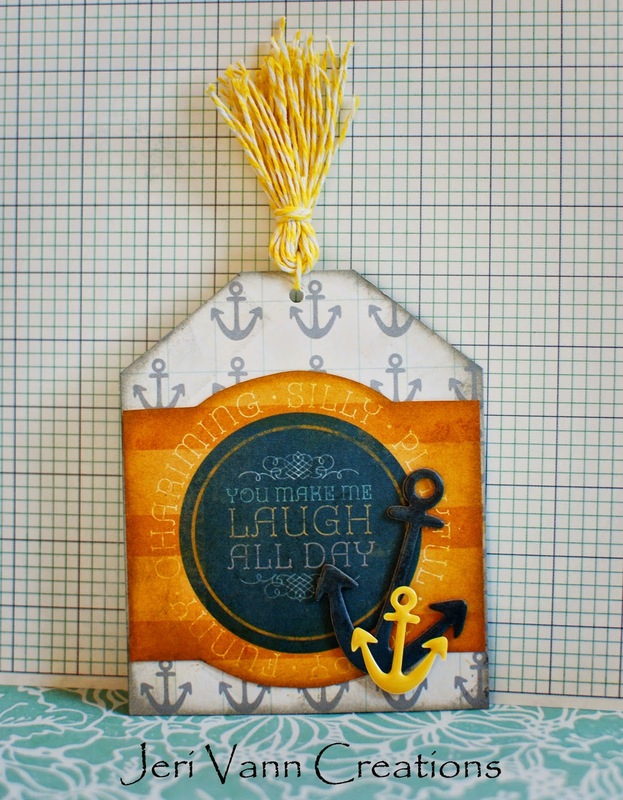 Using My Mind's Eye Now & Then Milo Bundle, some ink pads and yellow bakers twine, this tag came together so quick and easy! Custom make these fun tassels for your tags with bakers twine to add some flare. love love love this! Clean and simple, but with a big impact! I hit publish before I commented on the anchors! My daughter's family is a Coast Guard family, so anchors are an icon we see a lot in home decor and the like. I want to make one of these for her!! thanks for the kind words ReNae! 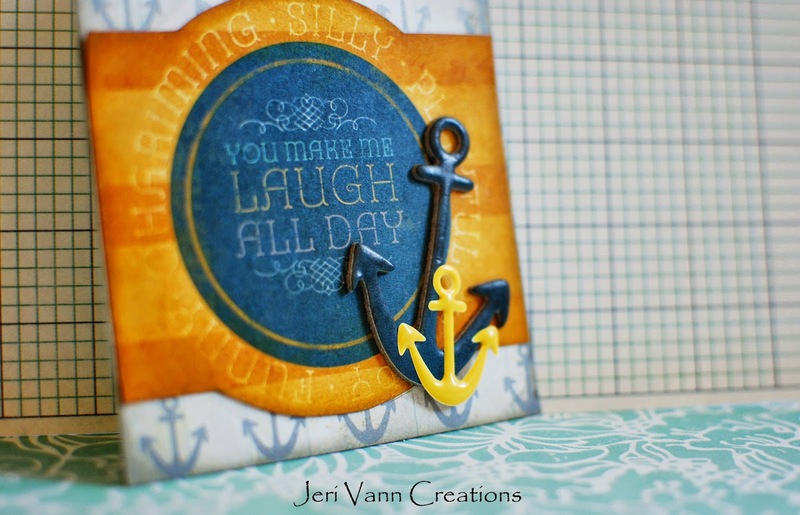 It was something new for me, I haven't made much with Anchors, but I loved how it turned out!